The State Opening of Parliament takes place in the House of Lords Chamber and marks the new session of the UK Parliament. It is an elaborate ceremony in which the Queen wears the Robe of State and Imperial State Crown to deliver the Queen's Speech setting out the agenda for the coming year. The ceremony is significant as members of all three branches of government powers, being the legislature, executive and the judiciary are all assembled in one place. 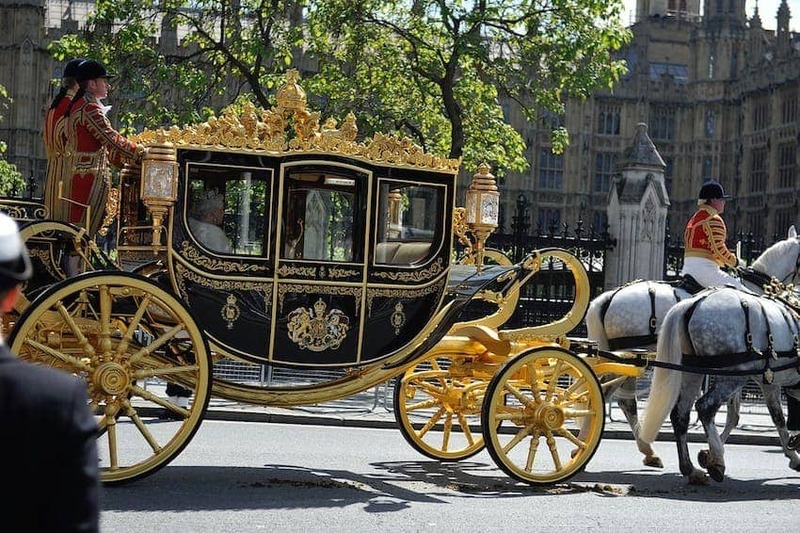 It is closed to the public but spectators can watch the coach procession from Buckingham Palace along the Mall and Whitehall to Westminster.